Founded in 1980, Boston Financial Resources, Inc. specializes in strategic financial management. Our purpose is to assist closely held companies in achieving their growth, profit, and liquidity objectives. We work with our clients to identify financial needs and to create solutions that improve their financial stability and performance. Boston Financial Resources is a team of experienced professionals whose commitment to results oriented service is reflected in the longevity of our client relationships and the large number of engagements made through client referrals. What makes us different from other financial consulting firms? We get results. We have served many of our clients for more than a decade. We have completed hundreds of financing transactions. We have developed strong ties with over two dozen alternative financing sources. We have successfully completed numerous ESOP financings. John W. Weeks, Jr. founded Boston Financial Resources, Inc. in February, 1980 for the purpose of assisting small to medium sized manufacturers and distributors with their financial issues and most important, providing them with an advocacy voice in dealing with lenders and creditors. He has also worked with clients on transition of ownership issues and has used such tools as employee stock ownership plans (ESOP’s) to effect these transfers. He is a 1968 graduate of Harvard College and also received his Certified Commercial Lender designation after studies at the University of Oklahoma. 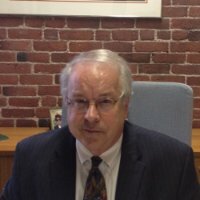 For over 25 years, he has sought out federal and state sources of grant assistance to subsidize the costs of technical assistance provided by Boston Financial Resources and has worked closely with state and federal sources of financing to make available modestly priced and affordable capital to supplement conventional sources such as banks, small business investment companies (SBIC’S) and sources of mezzanine capital. He has worked with and for virtually every source of alternative financial assistance in Massachusetts, Rhode Island and New Hampshire and has consulted with such agencies as the FDIC and the Massachusetts Credit Union Share Insurance Company. Prior to forming Boston Financial Resources, he gained experience as head of a small business lending department of the First National Bank of Boston, working mostly with small business and minority businesses, extensively utilizing the resources of the Small Business Administration and the Boston Federal Reserve. He also was one of the first bank lenders to join the newly formed Massachusetts Capital Resource Company, a partnership of the Massachusetts based life insurance partners and which subsequently became a pioneer in the mezzanine or preferred stock arena. Early in his career with Boston Financial Resources, Inc., he contracted to work with virtually all of the quasi-public lenders in Massachusetts, including, to name a few, CDFC, MCRC, MBDC, MCCF, MPDC and CEDAC. He is a lifelong advocate of small business and believes strongly in the encouragement of creative thinking, leading to innovative ideas and the achievement of economic independence.